Well this is a bird I've waited a very long time to see in the Peterborough area. 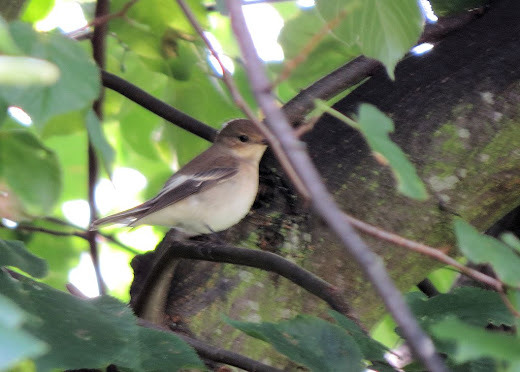 It was on a whim I ventured up to Broadway Cemetery for the first time in months and, although I knew there had been plenty of Pied Flies drop onto the east coast recently so the bird was vaguely on my mind, I really didn't expect this. A very lucky find and a very elusive bird. Mike Weedon helped relocate it with his better hearing and better knowledge of the bird's quiet calls.